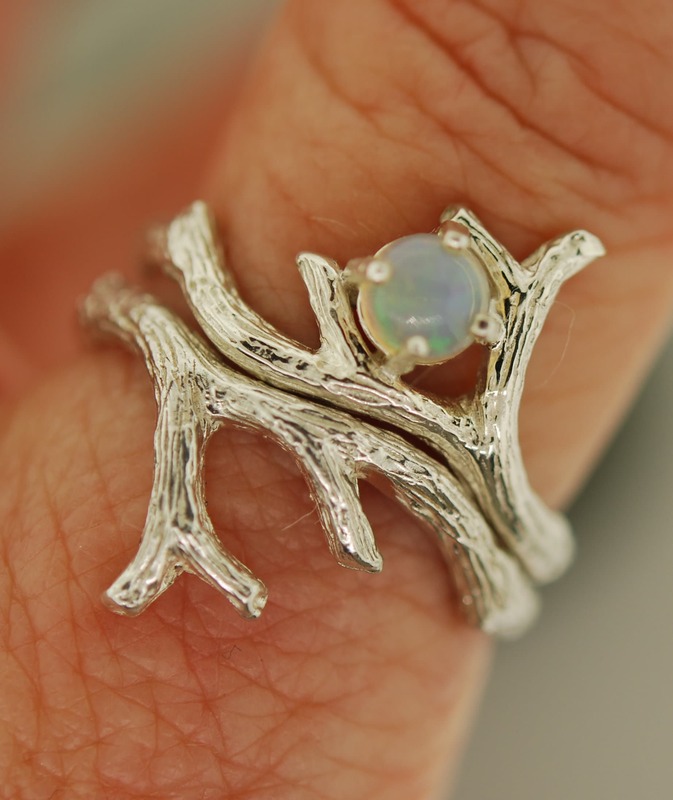 A beautiful 5 mm opal is nestled between two branches in this nature inspired ring. 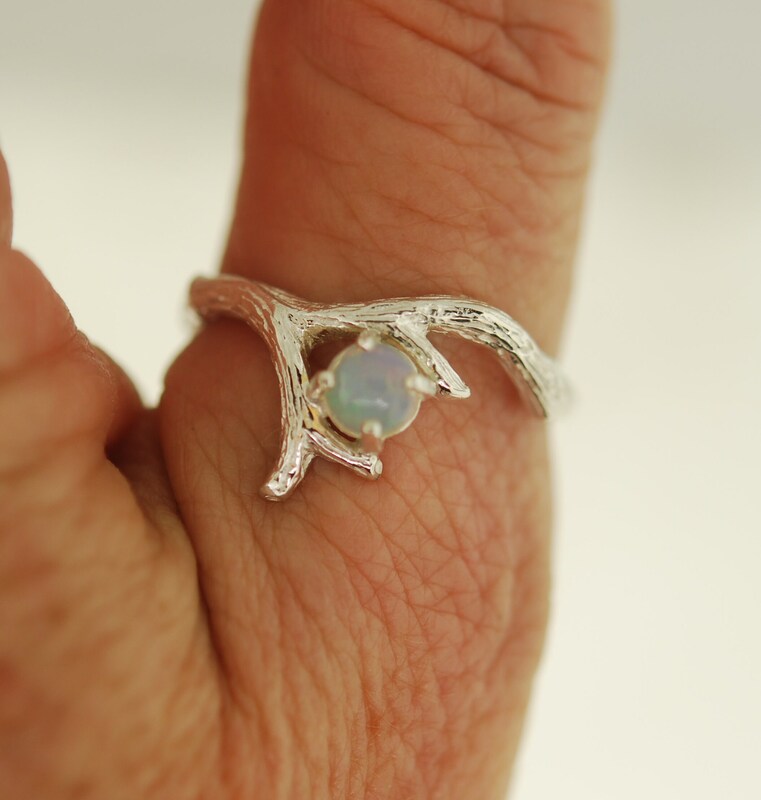 The opal is 5 mm and very colorful in person. 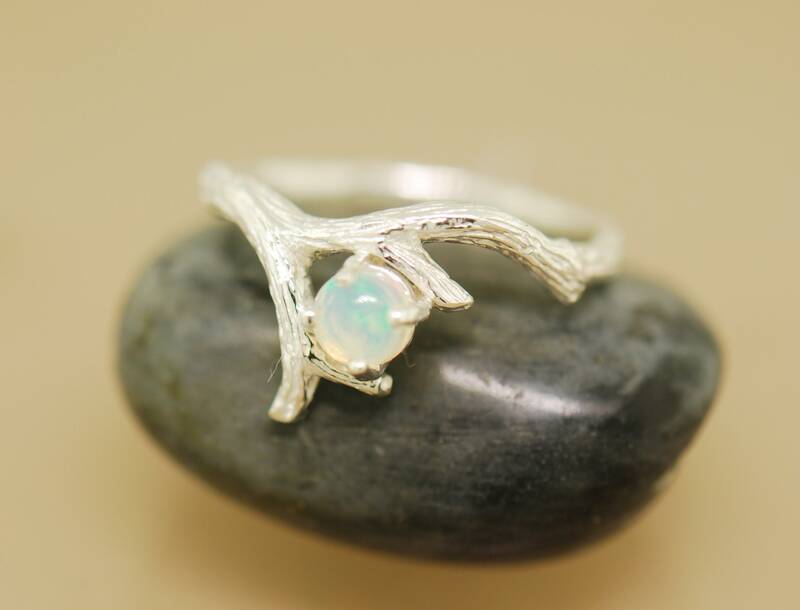 I made this ring because one of my customers requested a branchy ring in the style of my Antler 2 ring. 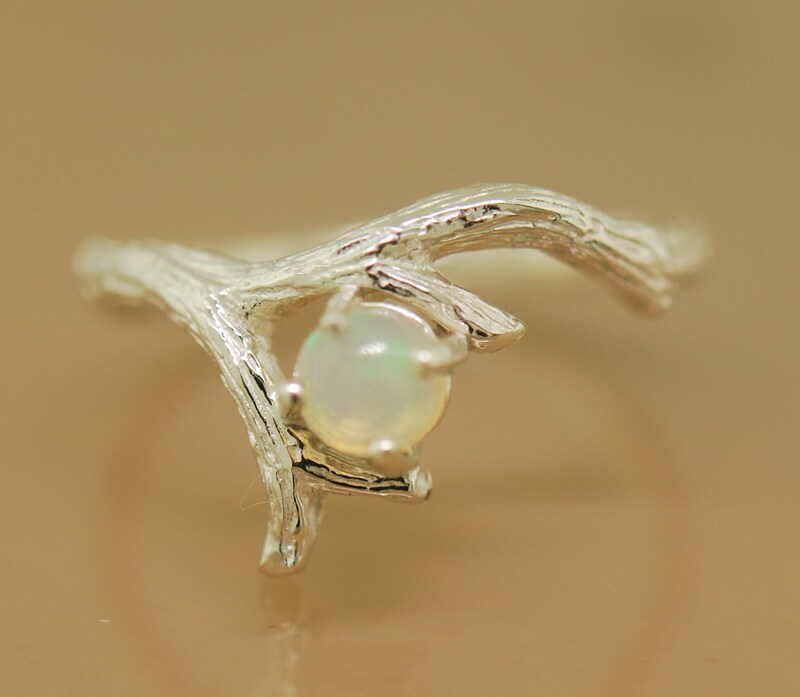 It is both simple and elegant with fine textures. 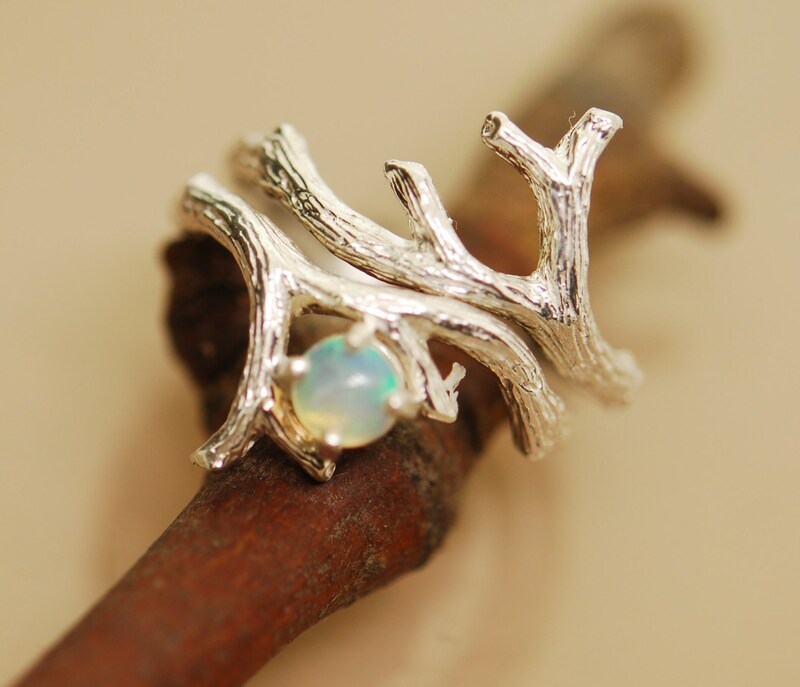 The ring can be ordered as a set or single. 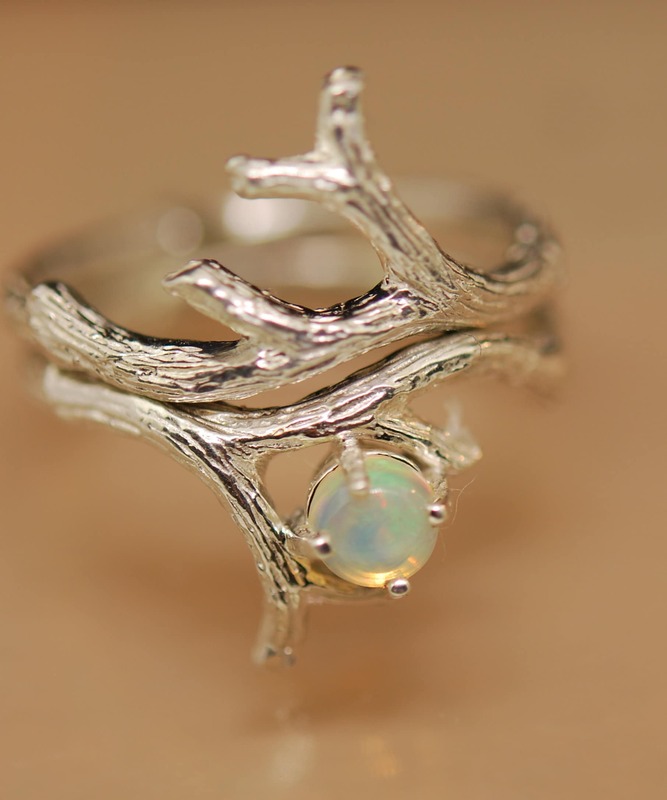 I can make with other stones and metals. Just let me know.